Ransomware attacks PCs, or even smartphones, and part of the computer system. Moreover, it can block your access to your photos, files, and data. It can prevent you to access all of computer system. You won't be able to get through the warning message saying you should pay a huge amount of money to get your access back. If you're paying the ransom, it won't guarantee that you're access will be given back. They might even ask for your bank account details that will cost your entire savings. It's better to do some precautions before doing such. Now, you are already in trouble. The ransomware is activated on your computer. The best thing to do is remain calm. Take note all the information you can and check out any files that are marked by your operating system or security software as infected. The malware could be trying to send your data out to the cyber criminals so better disconnect your computer from the Internet. This scenario calls for Safe Mode when you can no longer switch on your computer without eeing the ransomware message. You can search for different instructions on how to do the Safe Mode for different Windows Operating System. Restart your computer and press the F8 key while the system is booting up to access your PC without using Windows. Use the arrow keys to choose Safe Mode with Command Prompt. Use the text cursor to type rstrui.exe and press the Enter key. This should start a Windows System Restore screen that lists saved points within Windows from an earlier time. Restore your PC after you choose a restore date from before your were infected. 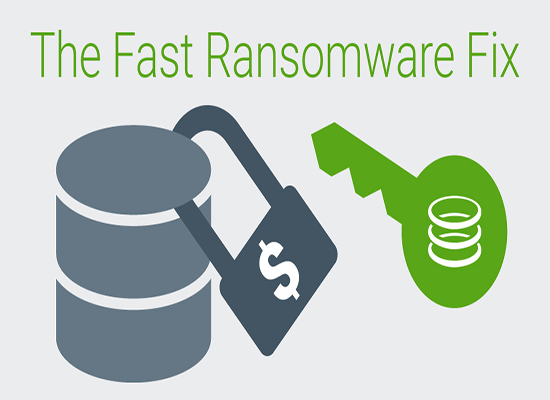 Just get yourself an anti-ransomware removal tool and it's give you steps on how to resolve these issues on the spot. You can download an anti-malware removal tool in the Internet. It should help you get rid of the ransomware on your computer. Stick to branded anti-ransomware removal tools to avoid contracting another malware or ransomware. Would Paying the Ransomware will Stop this? The answer is no. Also, experts say that it's not advisable to pay anything because it'll fund cyber criminal's future projects. It's also a way to support their indecent life of harassing people. There's no guarantee that they'll stop bothering you. They might even come back for more. If you're not sure what to do anymore, you can always approach the cyber security experts to help you out in these matters.